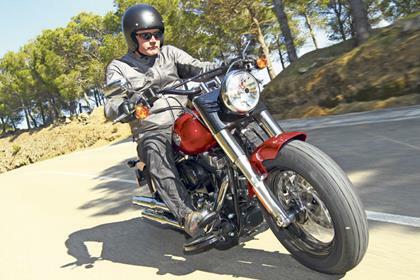 The Slim is essentially a standard Softail (ie a big twin with hidden rear shocks for that ‘hardtail’ look) but given (as seems to be repeatedly fashionable with cruisers from all manufacturers at the moment) the minimalist, ‘50s ‘bobber’/hot rod look. The difference here, though, is the ‘Slim’ bit. 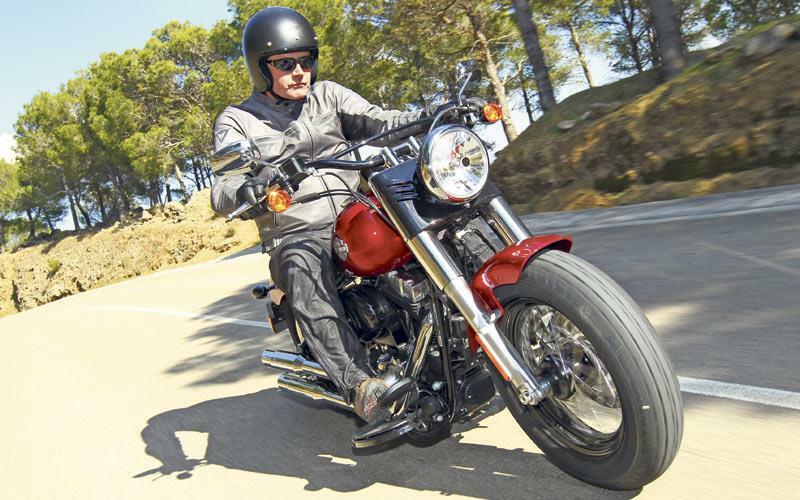 Harley’s view was that its existing Softails had become ever bigger and plusher, the result being that the engine ended up looking smaller and smaller. With the Slim, the idea is to reverse that trend by making the bike slimmer at the rear so the engine looks larger in the frame, thus achieving more of a hot rod style. It works, too, as was strikingly evident when following a Slim alongside a Fat Boy and noting starkly how clunky, fat and, yes, crude, the long favourite Fat Boy seemed by comparison. The riding position with low seat, classic ‘Fat Bob’ tank (complete with tank-mounted console), forward-ish footboards with heel-toe ‘change and wide/flat-ish bars, is natural and sufficiently comfy and rides pretty much as you’d expect: steady, pleasing, no major shockers or discomforts, lots of Harley ‘cool’ and the the usual sprinkling of Harley irritants, namely stoopid long sidestands, having to glance down to the tank to check the indicators have cancelled and those unique-to-H-D left/right bar indicator switches. Classic air-cooled, 45-degree Big Twin Harley (now up to 103ci) as now standard across the whole Softail and Touring families. Performance is adequate and familiar, character is all. A relic, maybe, buy a classic, definitive one. Usual Harley high standards with deep paint and chrome and rugged build. No fears over reliability either. Instead main criticismis how plain and basic the Slim is. Best colour in the flesh, incidentally, is the cheapest gloss black one. 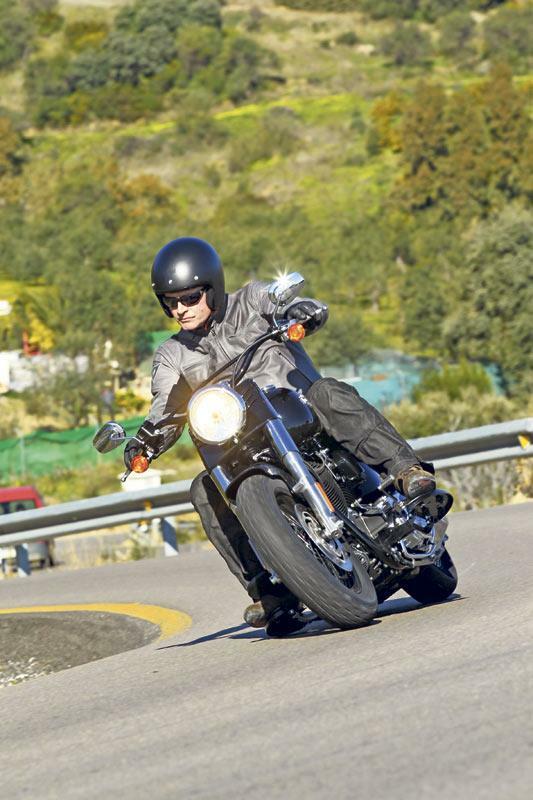 The Slim is a worthy, neat and effective addition to the Softail range.  It’s credible, attractive and a fine performer. But it still rankles that so little of it is actually new. Would it really have been that difficult to, say, give the Slim a unique tank and rear fender to make it truly more distinctive? As it is, and despite Harley’s proclaimed aim of making the Slim ‘a more affordable Softail’, it’s pretty pricey. So, if tempted, go with the basic gloss (or ‘Vivid’) black version (at £14,695) rather than pay the heftier £14,995 for it in red or hackneyed denim (or satin) black. It’s the best looker anyway. Minimal. The Slim may be a ‘new’ model but there’s nothing truly new about it in terms of engineering or specification. In other words, as Harley tend to do time and time again, the Slim is something of a ‘parts bin special’ and a pretty basic one at that. 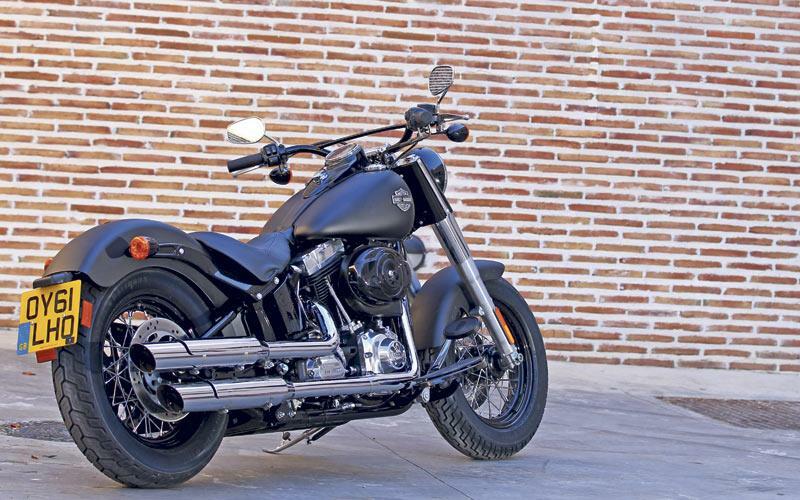 No owners have yet reviewed the HARLEY-DAVIDSON SOFTAIL SLIM (2012-on).